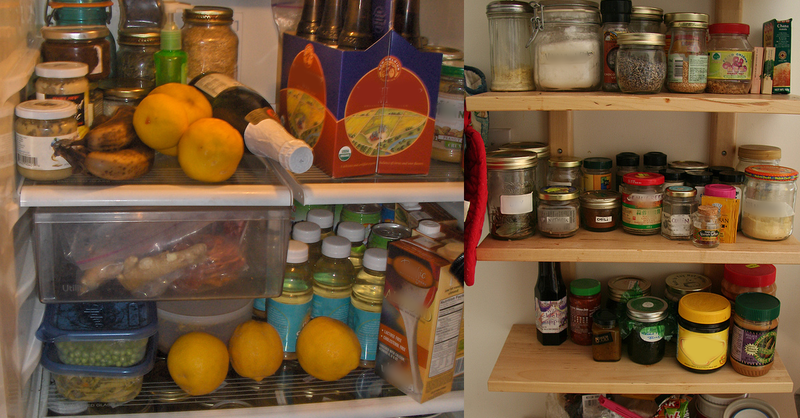 The longer you are vegan the better you learn what every vegan pantry must have. These are vegan staples that you will use a lot. There are also certain things you should keep in your refrigerator. Of course it’s impossible to tell you specifically what you need because our tastes may be different. So you may add a few things I don’t to your vegan kitchen and vice versa. Just like every house has a solid foundations so does a vegan diet. For the purposes of this article I will be talking about a mostly whole food vegan diet. My list of essential items will not include faux meats or cheeses. You can certainly include those things if you like but I do not feel that they are essential. I have broken my vegan ingredients for your kitchen into several categories. They are Beans, Grains, Dried Fruits, Nuts, Refrigerated, Condiments, Vegetables and other. The great thing about this basic list is that every vegan can use it, and most of the things will keep for long periods of time. So you will always have what you need on hand to make delicious vegan meals. Beans and peas will be used in so many different vegan dishes. You should always have these in the pantry. Dried beans keep forever and even canned beans serve a purpose. Below are the bare minimums you should have. Canned Chickpeas: These are used for so many things. Sandwich spreads like “chicken salad“, the brine is used to make creamy whipped cream, salads and so much more! Whole grains are good for you in moderation. They are an easy way to add energy to vegan meals. Oats: Use steel cut rolled oats. You can use them for amazing breakfasts and other dishes. Quinoa: An amazing source of protein and it’s uses in recipes are limitless. Pasta: I prefer corn pasta but you can choose what you like best. Just remember to limit the pasta in your dishes and make the vegetables be the featured ingredient. I like to always have raising, dates, and cranberries on hand. I use them as snacks, in vegan puddings, in my salads, oatmeal and more. They add a great energy boost to a lot of meals! You can add nuts to salads, soups, stir fries, as a garnish or alone as a snack. They kick up the protein in a dish and add energy. Keep them in your freezer for longer life! Hooray for your article title. Let’s bring food shaming into a counterculture hopefully ethically based community. Tip of the hat. Thanks Donna! Will definitely check this out ? I can’t find a print icon….